It looks like after massive disaster, the flood hit state Kerala, and its tourism industry is back on its feet. 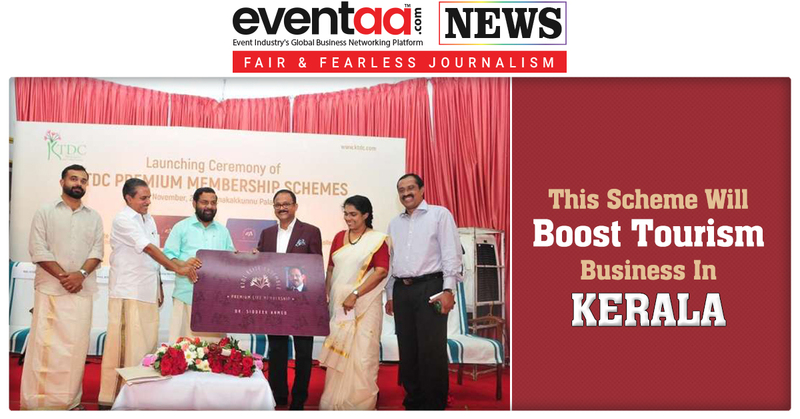 As Kerala Tourism Development Corporation (KTDC) has recently unveiled its Premium Life Membership and Institutional Membership cards for individuals and institutions at affordable rates. The membership cards will offer seven nights of free stay in a year and substantial on all its premium facilities including food and beverages at any of its hotels at hill stations and beach resorts. The state finance minister T M Thomas Isaac formally launched this scheme in the presence of Tourism Minister Kadakampally Surendran, in Thiruvananthapuram on 1st November. IATA vice-president E M Najeeb, KTDC chairman M Vijaya kumar Tourism Secretary Rani George and marketing manager Raj Mohan were present at the launch ceremony. The inaugural Premium Life Membership Card was handed over to Siddeek Ahmed, chairman of Eram Group by Kadakampally Surendran. At the same time, Kadakam pally said that the most ideal feature of KTDC properties is that they guarantee a homely feel for the visitors coming to stay at them. He also said administrative sanction had been given to a large number of tourism projects across the state, including Rs 125 crore worth of schemes in the state capital. The fee for the premium life-long membership ‘KTDC Elite Ensemble’ is Rs 10 lakh while that of institutional membership ‘KTDC Corporate Collective’ is Rs 15 lakh. The boat crew involved in rescue operations during the recent floods were presented appreciation certificates and cash awards.